There are many highlights to diving in Bali but undoubtedly one of the most famous, which appears on most divers bucket lists, is diving with the mighty mola AKA the oceanic sunfish. Hoping to catch a glimpse of the world’s heaviest bony fish? Than there is no better place to stay that on the island of Nusa Lembongan. It puts you in the heart of the best mola dive sites in the world. 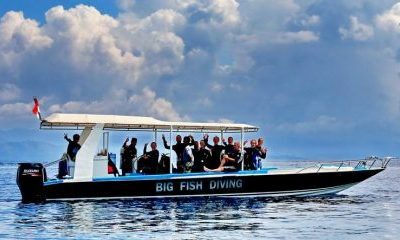 Here at Big Fish Diving we have almost 10 years of experience in exploring the waters around Nusa Lembongan, Penida and Ceningan and “big fish” are our passion. 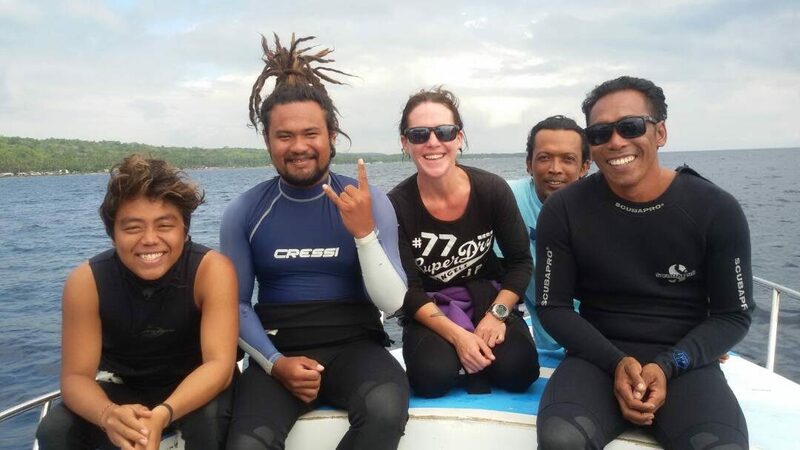 We were one of the first dive centres to open up on the island and the first dive resort. It means we know better than anyone what divers want from their dive and stay experiences. 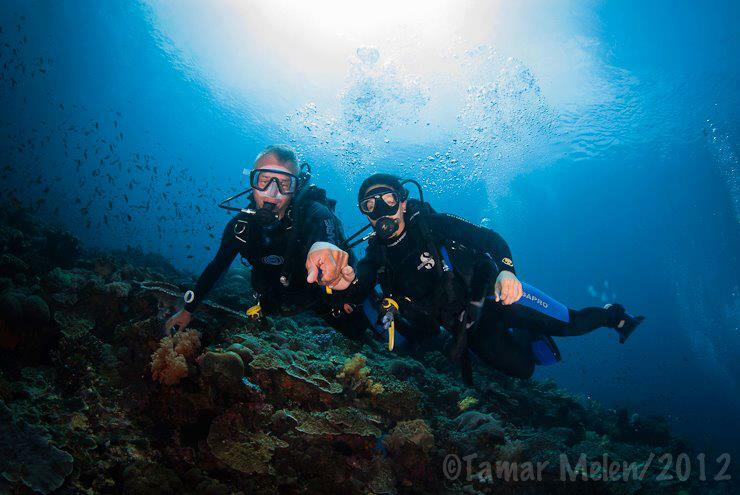 Our Dive Guides are among the most experienced in the area. With a thousands of dives between the crew we feel well prepared to show you what you came to see. 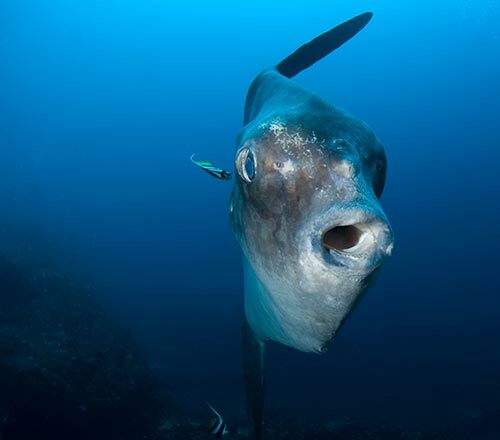 We aim to give every diver the best possible chance of a mola sighting. Purpose built boat, “Agi”, delivers a smooth ride so no bumpy crossings coming over from mainland Bali and no car journeys. Proximity to dive sites combined with our powerful engines mean that we arrive at dive sites early and we are often the first boat on the scene. This means less divers in the water and more chance of a personal encounter. Dive times are carefully scheduled around the tide tables to give you the best experience. We head out for a two dive safari trip every morning, year round. In high season from June to November (unlike other operators) we also run afternoon single or double tank trips according to the tides which caters for those who want to make additional dives and for those who want to sleep in! 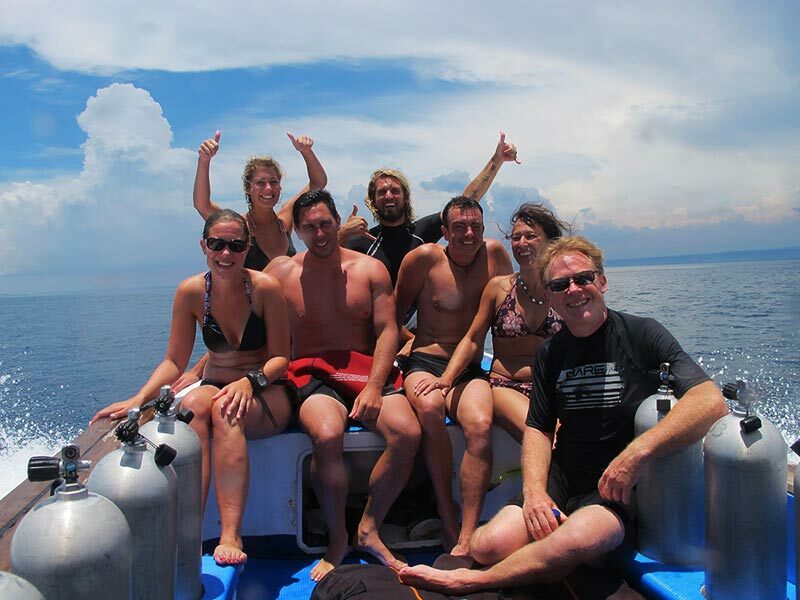 Whichever trip you join you’ll be in a small group which ensures Big Fish Diving personal service. During the mola season the water temperatures can be surprisingly cool around the islands. Therefore we have a large stock of full-length wetsuits and 3mm shorties to wear over the top. There is also the option of a hooded vest to wear underneath to ensure maximum comfort during your dives. Big Fish Diving is committed to diver safety and we are a PADI 5 star dive centre and active member of the Lembongan Marine Association. You can rest assured that you will be well looked after by our professional team – they are also a lot of fun! Our boat carries first aid kits, marine radio for communication, emergency oxygen and dive spares. For additional comfort we provide on-board refreshments and traditional Balinese rice parcels to add to your experience. Our knowledge of dive sites and local conditions – with a view to seeing mola, means that we have a higher than average sighting rate. As a result we have enjoyed many close up encounters with these incredible fish. Our aim is deliver you the best possible encounters whilst enjoying a phenomenal day out diving and exploring the reefs around our stunning islands. Although Mola can be seen at all recreational diving depths they are most commonly seen below 20m as they are a deep dwelling fish. You can increase your chances of a sighting if you have your PADI Advanced Open Water certification. Not yet Advanced diver? We offer this course in conjunction with mola dive trips and it will open up new dive sites to you around the world! Did you know that on certain days the sighting of mola on the North coast of Nusa Penida at sites such as Toyapakeh, SD, Pura Ped and Buyuk actually outweigh the sightings in Crystal Bay and have far fewer divers? This is the inside knowledge that we have being based in the heart of the action. You can be sure that we will take you to the best spots at the best times to give you the best dives. 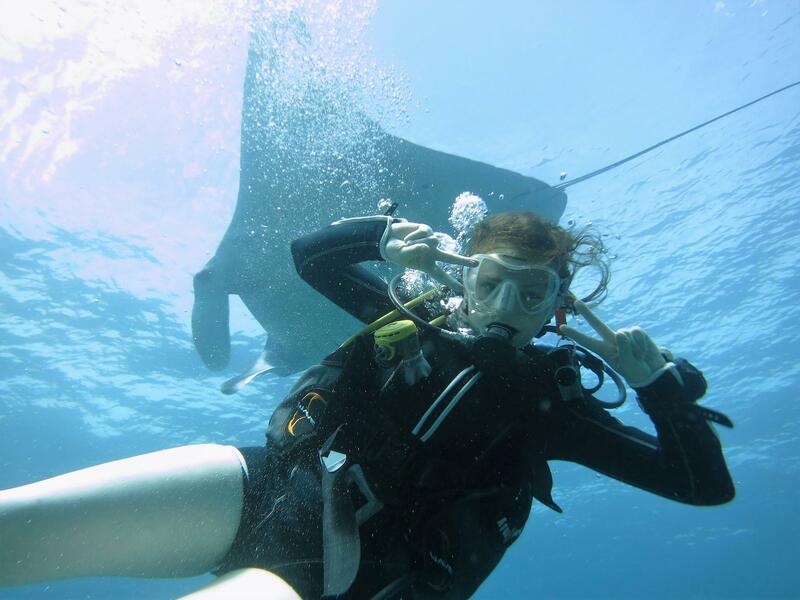 Mola are not our only “Big Fish”, have you dived with manta rays? Manta Point in Nusa Penida hosts a cleaning station with a local population of over 600 manta rays! This is a great site to see them in action. We also see Mola here on the deeper cleaning sites. At Big Fish Diving we live up to our name and we are home to the Marine Megalife Foundation (MMF). They use us as their base for “Big Fish” research in the Bali / Penida / Lembongan region. MMF also give twice weekly talks in our Yoga Shack about the megafauna of Lembongan. As a result you will understand more about what you are seeing and this enhances your overall experience. We understand divers who want to see the big stuff and we are here to help. Whilst we can’t guarantee what you will see, what we can guarantee is that you will be diving with a team who love to see these fish as much as you. There are many other highlights to diving in Lembongan as well as mola – such as schooling fish, vibrant reefs, awesome drifts, turtles, trevally, barracuda, sting rays, marble rays, reef sharks. We sometimes see dolphin pods from the boat and of course our year round manta ray sightings are phenomenal. The best known site around our islands for mola sightings is Crystal Bay which also offers incredible corals and a host of macro critters. We choose our dive times according to the time of the tides, lunar cycle and conditions. Unlike Bali based operators, we can see all this from our doorstep. We use this inside knowledge to take you to the best sites each day.